Company Profile : Feathersoft with an early start in 2005 at Cochin took off with the IT boom era and the growth of IT SME's in the city. Hence we grew with the booming phase of IT companies in Kerala taking up challenges and innovating solutions to compete with the upcoming trends in technology. Our history clearly depicts the evolution of technology starting from PC applications through Web, Mobile, Hybrid and multi-platform applications. It reflects our focus on adapting with cutting-edge technologies foreseeing opportunities ahead. We have developed quality customer feedback, gained from an experience of developing 1000+ websites, 150+ iOS apps, 70+ android apps and has proved to be pioneers in Web and Mobile Solutions. PSU Profile : The National Commission on Agricultural (NCA) has suggested setting up of Forest Development Corporation in every state which will be able to raise institutional finance for raising man-made forests so as to meet the domestic and industrial needs of Forest produce and re-clothe the degraded forest areas and bring them under productive use. Kerala Forest Development Corporation was established as a joint venture of Government of India and State Government in 1975 and it came into existence on 24th January 1975, with its Registered Office at Kottayam. Company : extraSlice Solutions Pvt. Ltd.
Company Profile : extraSlice provides growth focused services to startups. At extraSlice, we believe a lot can get achieved in one day. The extraSlice’s mission is to empower startups across the world utilizing global resources. Registered & Corporate Office Address : extraSlice Solutions Pvt. Ltd.
PSU Profile : The Forest Industries (Travancore) Limited is a Kerala Government Company established in the year 1946 is engaged in manufacture of wooden furniture and joineries (Windows, Doors, Ventilators etc.). It is located at Thaikkattukara near Aluva, which is 15km North of Kochi and 2km South of Aluva by the side of National Highway 47. FIT is a Kerala Government Undertaking under Department of Industries. It is registered under registrar of companies and registered as SSI Unit. The Unit became a Kerala Government company in the year 1960. The Unit was originally the agency for FACT for producing wood from Kerala Forest Department. Since 1962, FACT changed their process and therefore the FACT related operations discontinued from 1963. PSU Profile : Established in 1984, Autokast Ltd is fully equipped to manufacture all kinds of Ferrous Castings weighing from 20 kg to 8000 Kg single piece. The present annual production capacity is 6000 Metric Tons. Autokast produces and markets different grades of Grey Iron and SG Iron Castings for the domestic and international markets. In fact Autokast can produce Quality Castings in all grades of Grey Iron and SG Iron. An expansion proposal to include Steel Castings is on the anvil. PSU Profile : Steel & Industrial Forgings Limited(SIFL) is an AS9100 C certified,Public Sector Undertaking fully owned by Government of Kerala. Incorporated in 1983 and Started commercial production in 1986,SIFL rapidly forged ahead to become a name to reckon with.We are masters in Titanium and Special alloy forgings. Untiring efforts of three decades has saddled SIFL firmly in the Forging Industry of India and abroad with best ratings for its products and services.Forgings with exquisite designs and shapes,flawless forms and contours,broad bands and spectra of metals like ALLOY STEEL,SUPER ALLOYS,ALUMINIUM and TITANIUM. All in wide range of weights and unmatched quality have made SIFL the most sought after forging company in the country for critical components. - Rack, Connecting Rods, CrankShafts, Crankshafts, Gears, Pinions, Axle arms. - Front hubs, Diff cages. Company Profile : Experion Technologies is a 10+ year-old software product and application services company. In a short span of time, our products and custom applications have served over 200 customers across 26 countries worldwide. Our customers include some of the world’s largest corporations as well as some of the fastest growing early stage companies. We have offices/ direct presence in the United States, India, Australia, Germany, Switzerland and Netherlands. Experion’s leadership team is comprised of seasoned professionals with experience in executive leadership, global business management, sales & marketing, software technologies, delivery management, product management and consulting. The company has been lauded for three continuous years as one among the “Top 100 fastest growing companies” by Red Herring. Company : Exor India Pvt Ltd.
Company Profile : Exor India is the partner company of Exor International ( Verona, Italy ) selling total HMI solutions in the Indian market and is based in Mumbai. Exor India ( Kochi and Bangalore ) software team provides services to the R & D division of Exor International for development and enhancement of the HMI and embedded systems software. Exor India, prides itself in being able to serve its customers throughout India with committed delivery schedules backed by powerful local, skilled and efficient Technical support services. We deliver highest -quality products for Industrial , Marine and Building automation as well as embedded system applications. Our Parent , Exor International has a worldwide reputation and recognition in having brand label agreements with most Prestigious automation companies of the world. Address : Exor India Pvt Ltd.
Company Profile : Enterprise360 is a management and technology consulting LLP, catering clients across the globe. E360 helps customers do business better, by leveraging our industry-wide knowledge, deep technology expertise, comprehensive portfolio of services and vertically aligned business model. Our dedicated promising technologies enable us to connect the latest technology for delivering business competence to our clients. Our services range from Sales Process Outsourcing, Marketing Process Outsourcing, Business Process Outsourcing (BPO), Customer Service Outsourcing, IT Outsourcing, Finance & Accounting Outsourcing, Credit & Risk Management Outsourcing, Knowledge Process Outsourcing (KPO), Legal Process Outsourcing (LPO), Compliance Process Outsourcing and Mortgage Origination/Underwriting Outsourcing. PSU Profile : Kerala State Construction Corporation was formed in the year 1975 as a fully owned Kerala Government company.Kerala State Construction Corporation was formed in the year 1975 as a fully owned Kerala Government company. Registered & Corporate Office Address : Kerala State Construction Corporation Ltd.
PSU Profile : A multi faceted company, with a powerful combination of products, projects and engineering services for various customers. An integrated consortium of engineers and professionals, technicians and employees. Set up in 1974 by the Government of Kerala, India, to develop steel-based industries and services in Kerala, SILK today is an multi million asset base organisation. SILK and its subsidiaries form a powerful combination of Products, Projects and Engineering services for various customers like Heavy Engineering Industries, Power generation and transmission in and outside Kerala - SILK through its facilities for Industrial/Engineering Fabrication , Sheet Metal Fabrication , Machining , Casting , Ship Building , Ship Breaking and Commercial & Trading activities is growing and growing to fulfill its vision and shape the dreams into reality. SILK, an integrated consortium of people and facilities, growing from strength to strength and into new thrust areas and services into generation of pollution free energy, environmental engineering, manufacture of Hydraulic turbines and equipments, Small sea going vessels, Industrial valve castings, Radial gates, thus moving beyond steel. SILK Nagar, Athani P. O.
PSU Profile : Kerala Agro Machinery Corporation Ltd. (KAMCO) was established in the year 1973 as a wholly owned subsidiary of Kerala Agro Industries Corporation Ltd. (KAIC), Trivandrum, for manufacture of agricultural machinery specifically Power Tillers and Diesel Engines. Subsequently KAMCO became a separate Govt. of Kerala undertaking in 1986. Paid up capital is Rs. 161 lakh Present Net Worth of the Company is Rs. 6014.14 lakh. Total work force at present is 567 Certified for ISO 9001 - 2000 version from September 2002. 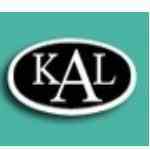 At present, KAMCO has five units located at Athani and Kalamassery in Ernakulam District , at Kanjikode in Palakkad District, at Mala, in Trichur dist. and at Valiyavelicham in Kannur District.With the present work force KAMCO can produce 8400 Power Tillers & 1200 Power Reapers per annum. PSU Profile : The Company is going ahead with its ambitious expansion programme including installation of TMT rolling Mill. At present SAIL-SCL is producing 100x100 mm sq. Steel Billet through electric arc furnace route and continuous casting technology. The Billets produced in the plant are converted into constructional steel items of different specifications and marketed. The products of SAIL-SCL conform to BIS specifications. SAIL-SCL also produces value-added steel of En-8, En-9, En44 and En-45 grades according to requirement. The Company has entered into the market of the latest quality constructional steel TMT bars in association with SAIL, a Maharatna PSU, the Steel Makers to the nation. Major portion of the Company's products have been supplied to various Government Departments. In order to strengthen the marketing and to boost up retail sales, the Company has renovated its Sales Depot at Company premises adjacent to national highway. The Company was originally promoted in the joint sector between the Kerala State Industrial Development Corporation Ltd.(KSIDC) and a private entrepreneur in 1969. SAIL-SCL set up its mini steel plant in 1972 with installed capacity of 37,000 tons pa. The Company commenced commercial production in September 1973. PSU Profile : The METAL INDUSTRIES LTD. METIND Nagar, Shoranur is a Kerala State public sector undertaking Unit established in the year 1928 perhaps the one among the first few pioneer industries in pre independent India and the first one in south India. The activities of the company are to manufacture and market various agricultural implements and tools required for agro farming, handicrafts and artisans community. The major clients of the products are Public and Government sectors. The factory is located at Shornur , a major industrial destination of Malabar region of Kerala in 24 acres of land. The ownership of the unit is as a public sector undertaking owned and promoted by the Government of Kerala. PSU Profile : Keltron Component Complex Limited is a Government of Kerala undertaking promoted by Kerala State Electronics Development Corporation Ltd (KELTRON). The Company is located in the district of Kannur in Kerala. It commenced commercial production of Aluminium Electrolytic Capacitors in August 1978 in technical collaboration with M/s N.V Sprague Electromag, Belgium a subsidiary of the world famous Sprague Electric Company of USA. PSU Profile : KELTRON ELECTRO CERAMICS LIMITED, a state PSU under Industries Dept, Government of Kerala is a subsidiary of Kerala State Electronics Development Corporation Ltd (KELTRON). The company, an ISO 9001-2008 certified, is situated 3 KM from Kuttippuram Railway Station in Malappuram District, Kerala, along the National Highway, nestling on the Banks of River Bharathapuzha in a scenic setting. The land holding of about 10 acres offers excellent scope for further development and setting up of manufacturing facilities. The company is engaged in manufacturing activities in the field of Transducers/Hydrophones, Sanjeevani Acoustic Life Detector and Electronic Queue Management Systems . Our Transducer range includes a diversified range of Transducers and allied complimentary products to DRDO, NPOL (Naval Physical and Oceanographic Laboratory), NSTL (Naval Science and Technological Laboratory), NIOT (National Institute of Ocean Technology), Bharat Electronics (BEL), IIT, CUSAT etc. The unit is supported by its highly skilled and talented employees. At present, the unit is covering employee strength of 100 Nos.